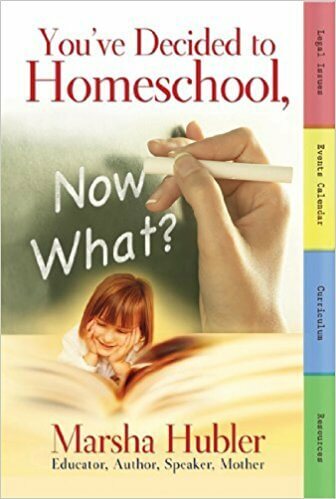 YOU’VE DECIDED TO HOMESCHOOL…NOW WHAT? A guide to homeschooling for overwhelmed parents. A practical, welcome aid for overcomng initial anxiety over homeschool for your children, this detailed-but-readable look at getting started (and maintaining) with a workable plan is written by well-known homeschool consultant Marsha Hubler. With invaluable checklits for getting started, sample yearly calendars, and detailed items like student transcripts, field trip records, and web addresses, this true “survival guide” makes it easy and lays the groundwork for a winning experience. This helpful book enables overwhelmed parents to see the big picture by helping tailor a curriculum for each child’s specific needs and gives practical advice for working with homeschool evaluators, taking standardized tests, and injecting discipline necessary for academic success.